World news of Finland on "Helsinki Times"
Italians will vote on a controversial constitutional reform that may determine the fate of Matteo Renzi’s government. Yet neither Italy’s membership of the EU and the common currency, nor its financial stability are at stake. On 4 December 2016, Italians will vote on a constitutional reform proposed by the current government of Prime Minister Matteo Renzi. If accepted, the reform will change the institutional setup of the country. Most significantly, it would end Italy’s ‘perfect bicameralism’, in which the two legislative houses have nearly identical powers. The documentary, Slaget om kvalen ("Battle of Agony"), shows grisly footage of Norway's whaling industry, including one bloody scene where a fisherman cuts open a whale and removes its fetus. Six Russian ecological organisations have submitted an official letter addressed to António Guterres, the Secretary-General of the UN and Harald V, the King of Norway, asking them to stop or limit the quotas for whale fishing. The letter makes a strong point that Norway is the only country refusing to accept the moratorium on whale fishing declared by the International Convention for the Regulation of Whaling, arguing that it is a historically established national tradition. India has a new dream, a deep conviction to launch an Indian into space, from Indian soil on an Indian rocket by 2022 which is before the seventy-fifth birthday for India’s independence. Work has started in right earnest at the Indian Space Research Organisation (ISRO) which is expected to deliver this Herculean task in less than 1.4 billion dollars, possibly the cheapest human space flight ever to be undertaken in the world. This confidence and promise comes riding on the repeated successes that the Indian space agency has tasted in the past. Sara Khameis's mother is Finnish, and her father is a Jordanian. Sara has grown up in Amman, the capital of Jordan. She received a bachelor degree in biotechnology in Jordan and then applied for a Master's degree in Finland. 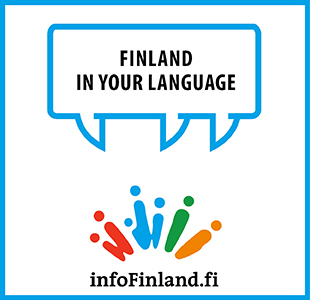 -I can speak some Finnish, but not enough. My research group has welcomed me, but it still feels that it is difficult to get Finnish friends. Maybe that's because I spend leisure time differently. I go to the movies and shopping. Sometimes I smoke argil (water pipe). However, in Finland, students almost always drink alcohol in their free time. HEADS OF STATE, Nobel laureates and foreign policy experts recently gathered at a secretive conference in Astana, Kazakhstan, for the unveiling of a “Global Risk Report” identifying the greatest threats to world stability in 2019. The conference, known as the Astana Club, took place in the Kazakh capital on November 12-13 and was the fourth such annual conference to be held. Participants included the heads of state and former heads of state of Belgium, Portugal, Pakistan, Turkey, Poland, Egypt, and Croatia, as well as dozens of leading foreign policy figures and Nobel laureates. Britain's Prime Minister Theresa May makes a statement on the Brexit negotiations following a European Union summit in Salzburg, at no 10 Downing Street, central London on September 21, 2018. - British Prime Minister Theresa May said Friday the European Union's abrupt dismissal of her Brexit plan was not acceptable, as she conceded talks were "at an impasse". We represent over 30,000 UK nationals living in the EU27. We listened to your statement this afternoon on the outcomes of the Salzburg summit with extreme concern. Firstly, whilst we welcome your softer words on protecting the rights of the 3 million EU nationals living in the UKthis is nothing more than your moral obligation and the UK cannot do anything else other than to maintain all their current rights even in the event of a no deal. However, we heard that we are now at an impasse in the negotiations with the very real threat of a no deal. What we did not hear was one single word about the future of 1.2 million UK nationals living in the EU27. You appear willing to take the UK out of the EU with a no deal and with no thought for your own nationals. The ATOM Project is an international initiative to build global support for a permanent end to nuclear weapons testing and the total abolition of nuclear weapons. It was launched at a parliamentary assembly in Astana, Kazakhstan on August 29, 2012, the UN International Day Against Nuclear Tests, established in recognition of the closing of the Semipalatinsk nuclear test site on that day in 1991 by the president of Kazakhstan. This story could be the stuff of weirdest Hollywood thrillers, but it seems to be true and unfolding right now. Google headquarters in Mountain View, California on September 1, 2015. The digital advertising powerhouse has received criticism for its role in contributing to ad fraud. Machines are now primarily responsible for purchasing digital advertisements and choosing where they run, but some recent embarrassments have shown that they don’t always get it right. This month, for example, advertisements from Citigroup, IBM and Microsoft found their way onto the website of an Islamist extremist. This follows an investigation by The Times about radical YouTube videos featuring ads for brands such as Marie Curie and Mercedes-Benz. In both cases the fault can be traced back to programmatic advertising. So, what is programmatic advertising, exactly? And why does it lead to these unseemly mistakes? WHAT HAS THE US DONE TO CUBA NOW? President Barack Obama’s visit to Cuba reflects a new way of formulating and implementing U.S. policy toward Cuba. This new policy is different not only from the sanctions that had been the long-standing U.S. policy toward Cuba but also from the policies suggested by the leading U.S. presidential candidates. Obama’s new policy toward Cuba starts from a different premise the United States will make decisions that reflect its values and its interests, independent of what the Cuban government may or may not do. Foreign Minister Mohammad Javad Zarif and EU Foreign Policy Chief Federica Mogherini read a joint statement on implementation of the Joint Comprehensive Plan of Action (JCPOA) and removal of sanctions imposed against Iran. The joint statement was read out in Vienna. The joint statement will pave the way for removal of all sanctions.